Development of the Novoportovskoye field on the Yamal Peninsula is a strategic project of Russia’s fourth largest oil producer, Gazprom Neft. Located in the permafrost zone of northwest Siberia, Russia, the field is operated by the subsidiary, Gazprom Neft-Yamal, LLC, with general design services provided by PJSC Giprotyumenneftegaz, an HMS Group company. 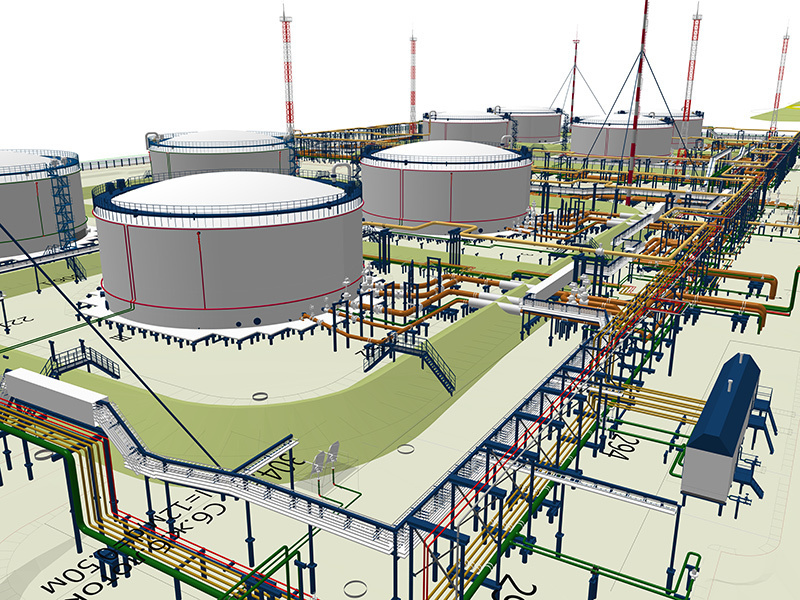 Giprotyumenneftegaz implemented Bentley solutions for 3D design of the Novoportovskoye field Central Production Facility and other infrastructure. OpenPlant delivered a powerful 3D information model for Gazprom Neft-Yamal to use during the construction phase and throughout the oil field’s lifecycle. Major oil-and-gas reserves were discovered on the Novoportovskoye field as early as 1964, but complex underlying geology and the lack of transport facilities prevented development until 2010, when Gazprom Neft assumed control of the project from its parent company, Gazprom. In 2012, Gazprom Neft-Yamal began extracting light crude from the field. To commence full-scale field development, the operator had to put additional infrastructure in place. In 2013, Gazprom Neft-Yamal contracted one of the country’s leading oil-and-gas engineering companies as project engineer, Giprotyumenneftegaz — Tyumen V.I. Muravlenko Oil & Gas Scientific Research and Engineering Company. Giprotyumenneftegaz has supported the integrated development of oil-and-gas fields in Russia and the Commonwealth of Independent States for more than 50 years. As project engineer for the Novoportovskoye Field development project, Giprotyumenneftegaz provided general design, detailed design, and operating documentation for the central processing facility , as well as designs for the delivery and acceptance point and a hydropower plant. The complex was designed to treat and transport oil that meets exacting Russian standards. Gas-saturated and partially degassed oil is piped to the central processing facility from the oil well and booster pump station, respectively. The facility dewaters and degasses the oil through a series of intense processes, then passes the product through quality control before preparing it for transport to the delivery and acceptance point which assures quality by filtering impurities and other measures, meters the oil loaded onto tankers, and diverts non-spec oil for internal use. Fueled by gas processed on site, the 144-megawatt hydro powerplant also involves an extensive array of connecting pipelines, power lines, and roadways. Giprotyumenneftegaz’s main objective for this project was to produce high-quality documentation that would shorten the design time and provide engineering support during construction and start-up. The 3D information model delivered to Gazprom Neft-Yamal incorporated visual engineering data to guide contractors through construction and inform operation and maintenance through the facility’s lifecycle. Designs for these technologically complex facilities amassed an estimated 65,000 files representing in excess of 110 gigabytes of data. The central processing facility alone accounted for 110 positions in the general plan and each plan position was represented in the information model. To achieve the level of 3D design and modeling necessary for a fully integrated information model of the Novoportovskoye field development project, Giprotyumenneftegaz took advantage of an Enterprise License Subscription to the entire line of Bentley products. This gave the project team access to specialized software applications for every aspect of design. One of the first tasks was to create a digital terrain model of the site using Descartes in conjunction with Terrasolid and EngGeo. The project team analyzed the area slated for development and modeled the major process streams using HYSYS. PlantSpace P&ID helped in the selection of equipment. The team used AutoPIPE and OpenPlant for analysis and design and AutoPIPE to perform strength calculations at the junctions of pipelines and equipment. Throughout the process, databases were compiled for main and auxiliary equipment, units, assemblies, structures, pipelines, and other assets. Based on these calculations, the team created a master plan and engineering schematic. The resulting 3D design object consisted of more than 300 functional positions. Giprotyumenneftegaz assigned two to 15 people to work on each position, with work performed by multiple disciplines concurrently. OpenPlant software capabilities and processes arranged the work of specialists from various segments of the project into a common information space. This allowed the chief engineer, designers, and subcontractors to coordinate with work from related units and shorten the overall design time. The interactive design process produced a coordinated 3D model that was used to generate all drawings, sectional views, and configurations for the entire complex. The model was further integrated with construction and installation schedules. 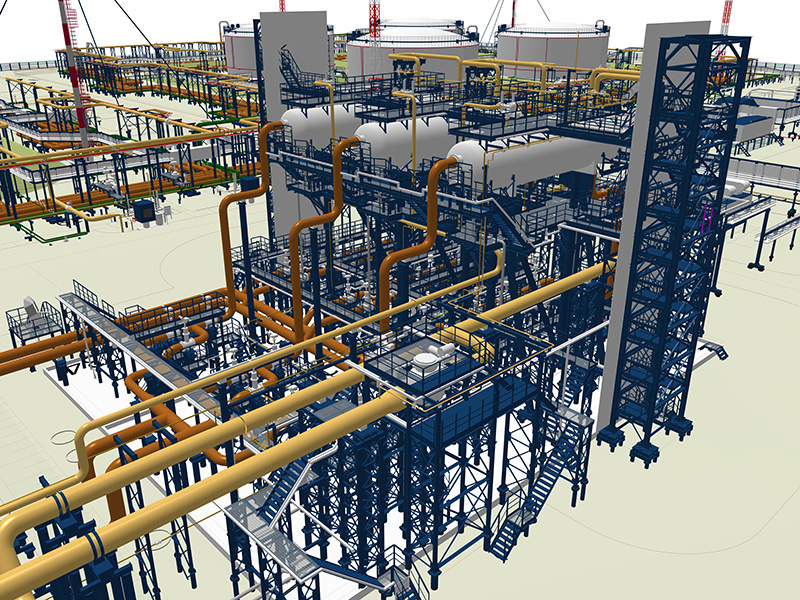 To transfer the information model to Gazprom Neft-Yamal for use by contractors during construction, Giprotyumenneftegaz converted the OpenPlant 3D design model to a format compatible with the owner’s engineering data portal. The iModel format provided a solution by transferring the graphical representation of the design object along with all the attribute information. The iModel format incorporated the design, documentation, equipment specifications, construction and assembly work schedules, and scope of work. During the construction phase, the iModels made it possible to track detailed construction progress. Integration with procurement and delivery systems shortened the equipment delivery time and helped avoid procurement mistakes. Using iModels to transfer information to the owner’s portal allowed Giprotyumenneftegaz to facilitate problem-solving during the construction phase and promptly resolve emerging technical problems. To aid in operation and maintenance, Gazprom Neft-Yamal requested an as-built model of the facilities incorporating all changes made during the construction phase. The project team accomplished this by performing laser scanning during construction and using Pointools to adjust the 3D design model to reflect as-built conditions. The as-built information model provided high-quality documentation in nearly one third the time it would have taken to manually update the design model. By providing an information model that corresponds directly with the constructed facilities, Giprotyumenneftegaz opened the door to supporting the owner throughout facility operations. The model can inform maintenance scheduling and parts inventory, accelerate reconstruction and modernization, train field and maintenance personnel, and reduce downtime for maintenance and repairs. Maintaining complete and accurate design documentation in an accessible 3D information model can provide a return on investment over the lifetime of the facilities. Bentley’s 3D design and modeling technology allowed Giprotyumenneftegaz to create a common information space that accelerated information exchange among project team members, shortened design time by one and a half times, and reduced design costs by 15 to 20 percent. The software automated a number of labor-intensive processes, such as detecting conflicts and calculating estimates, and reduced the number of errors in project documentation. As a result, construction costs were lowered, with fewer instances of error-related rework. Analysis with Bentley software also optimized material use, reducing metal consumption of structural units by 20 percent. Construction of this phase of the Novoportovskoye field development was completed in 2017. With recoverable reserves estimated at more than 250 million tons of oil and condensate, and more than 320 billion cubic meters of gas, Novoportovskoye field is licensed for production until 2150. Gazprom Neft-Yamal expects to ship up to 8.5 million tons of oil per year to European consumers via the Northern Sea Route. Having a sustainable operation and maintenance plan in place for the field’s critical infrastructure will allow the operator to achieve production goals in this challenging environment. Use 3D design and modeling solutions to produce high-quality documentation and shorten the design time and construction of the Central Production Facility and other infrastructure for Novoportovskoye field. Develop an integrated information model of the facility to track construction and installation progress, and procurement and delivery status. Deliver as-built models reflecting all design changes made during construction to reduce operation and maintenance costs throughout the field’s lifecycle. Technical solutions, main and detailed design, and operating documentation for the entire complex were created by Giprotyumenneftegaz. OpenPlant models were converted to iModel format for transfer of visual design information to the owner’s engineering data portal, which was accessible to construction contractors. Using Bentley’s 3D technology for the complex facilities shortened the design process by one and a half times and reduced design costs by 15 to 20 percent. Optimization of the 3D structural model for the facility’s structural units reduced metal consumption by 20 percent. Adjusting the 3D design model to reflect an as-built state required 30 percent less time with the application of laser scanning and Pointools. Anne-Marie Walters joined Bentley in 2004 as a global marketing director. In this capacity she is responsible for the marketing and positioning of Bentley’s solutions and products that address the needs of many industries including oil & gas, process & discrete manufacturing, power generation and mining. Ms. Walters, who is a chartered chemical engineer, has represented Bentley on the board of the Construction Industry Institute and is also heavily engaged in the activities of FIATECH. She sat on the board of the Engineering Contractors and Constructors Association between 2005 and 2010 and was the Chair in 2009. 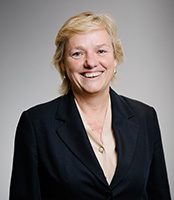 In addition, she is a founding member of the Process Industries STEP Consortium (PISTEP) committee and has served on the boards of CIMsteel and the United Kingdom’s chapter of the International Alliance for Interoperability (IAI). She is frequently a guest speaker at industry events sponsored by these and other organizations.